Is your child a lover of Christmas? Are they, like so many others, a lover of the classic Will Ferrell Christmas movie ´Elf´? 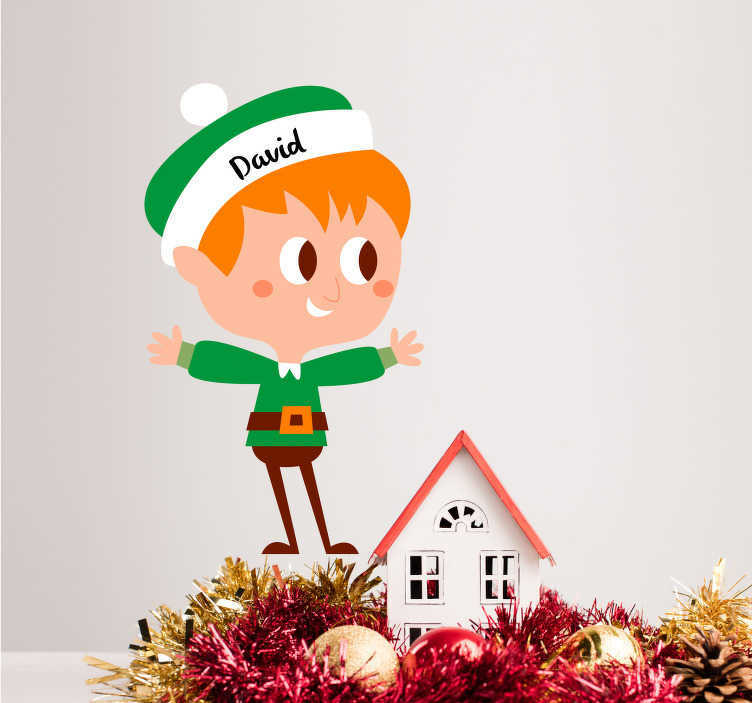 If the answer to that question is yes, then they are sure to fall in love immediately with this fantastic home decal, depicting an Elf with a customisable name! The text on the Elf´s hat can be customised freely, so whether it is a first name, a last name or anything else you think looks great, choose your size and buy this Christmas wall decal now!